Air conditioning now comes as standard on many vehicles. Over a period of time, air conditioning systems can lose some or sometimes all of its effectiveness. This is mainly caused by drivers not using the system all year round. 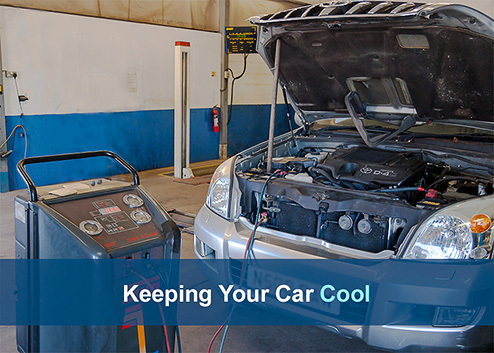 Most vehicle manufacturers advise running the air conditioning at least once a week throughout the year. Most air conditioning systems have a seepage rate of around 10% a year. Wellbrook can service or repair your car air conditioning system. This can be incorporated with a vehicle service or carried out on its own. Our AC machine is a Sun unit and can perform various diagnostic checks and performance tests. The AC service will evacuate any existing gas, carry out leak tests, add fresh oil and then recharge with fresh gas (R134A and R1234YF) to the correct amount for optimal performance. The pollen filter will also be checked and replaced if necessary.